As a partner of Kingston Ross Pasnak LLP, Neil specializes in providing business advisory services to owner-managed businesses and to not-for-profit organizations. These services include accounting, auditing, income tax planning for corporations and individuals, assistance with financing, advice on business purchase or sale and exit planning strategies, estate planning and preparation of terminal and estate tax returns. Neil has over 30 years of experience in public practice advisory services. He has particular experience in providing services to the construction industry, to medical and health professionals, to real estate developers and investors and to registered charitable organizations. He serves clients that report under International Financial Reporting Standards (IFRS), as well as Accounting Standards for Private Enterprises (ASPE) and other acceptable accounting frameworks. Neil is a Certified Financial Planner (CFP) and a Trust and Estate Practitioner (TEP). 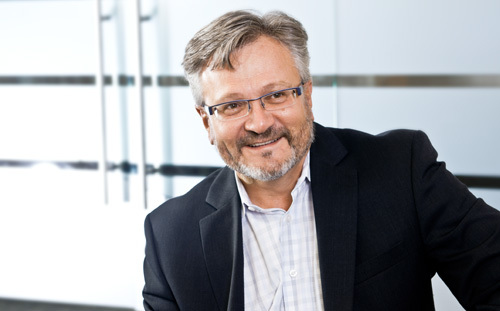 He has served as a facilitator for professional development courses through the Provincial Institutes of Chartered Accountants and serves on the DFK Canada Professional Standards Committee. He is also a quality control and concurring review partner for assurance services at KRP. Neil was recently appointed as a Fellow with an FCPA/FCA designation for outstanding leadership in student and member education and community service. Has been a trusted advisor to clients for over 30 years. Advised on structure and tax issues in client’s finances for a purchase of recreational development land. Advised beneficiary of a large estate on the transfer/acquisition of real estate holding company and operating company from the estate. Advised on structure of mortgage investment corporations (MICs) and ongoing tax advice to maintain status. Advised on structuring a new aboriginal owned resource industry service operation. Advised on sale and transfer of a significant group of companies and their real estate portfolio on a tax deferred basis. Advised in numerous situations involving the transition or sale of companies to long term employees. Advised on numerous tax planning strategies involving set up of holding companies and separation of assets from operations. Advised both vendors and purchasers about shareholder buyouts and tax effective strategies. Provided key advisory services to clients in the sale of their businesses and on the purchase of new businesses.